We know this business and we guarantee our program or your money back… It’s just that simple! Bankcard Academy has designed a state of the art system and a network of companies that together will provide the widest range of products, the best service in the industry and a simple step-by-step program to ensure your success for building your own company. Think of a business in your area that sells a lot of products or services on a daily basis. A grocery store, restaurant, gas station, travel agency, etc. In order for these businesses to “be in business” they have to have the capability to accept credit cards, debit cards, checks and other forms of payment. Any time a customer makes a purchase with a credit card, debit card or by check, another company called a service provider makes a fee from these transactions. This company collects these fees because the electronic transfer of funds is a separate entire industry. The businesses mentioned above (and any other type of business) can’t electronically transfer this money on their own. In the United States alone, millions of electronic transactions are occurring every minute. Every time one of these transactions is being made, someone is providing the electronic payment services. That someone is you! 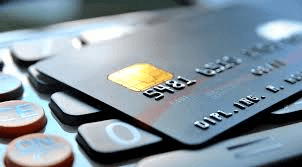 The Demand For Electronic Payment Solutions Is Overwhelming! Looking for a home based opportunity? 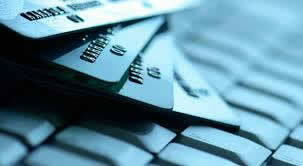 Start your own business today by opening your own Bankcard Business. A new opportunity that allows you to make an unlimited income has emerged in the exploding electronic payment industry. 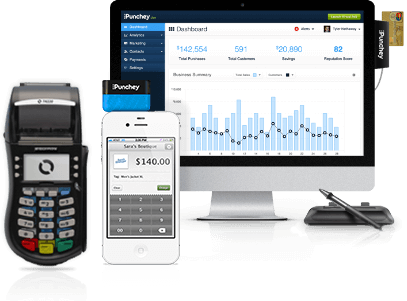 Electronic payment solutions are in high demand and the marketing is ripe for those who rapidly want to build a successful business. BUT, the window of opportunity to become involved will not be available forever. Those who get involved early on will profit the most. As an Electronic Payments Consultant, you could be earning executive-level income in no time. Someone will be signing up the businesses in your area… it should be you! With our leads and pricing, you will be the top competitor. Remember, once your client is set up, you get paid on each transaction for the life of that contract. Residual income continues month after month automatically. If you are seriously considering your own business, then you should consider the 2 TRILLION dollar electronic payment industry. We will provide you with leads, product and the best training and support anywhere, so you can start running your own business! An opportunity like this is quickly filled with qualified applicants…so click here to apply today! Thousands of Americans just like you want to control their own future, and Bankcard Academy offers an unparalleled opportunity for you…starting your own home based business. One of the frequently asked questions about our program is why we are better than a franchise business and other business opportunities available to entrepreneurs, like yourself. There are a variety of reasons why investing in our program and owning a bankcard services company can quickly put you on the path to success. As you can see, the features of our program are superior to any other franchise or business opportunity available to you. We have developed our business model to provide you with the ability to invest in a lucrative industry with an initial low investment and have the opportunity to grow and make an unlimited income, none of which you have to pay back to us. The income potential and growth opportunities that come along with owning your own commercial finance business is limitless and with our support team, lender network, marketing and education you will be able to become financial independent and as successful as you would like to be. For more information on this lucrative opportunity in the booming industry of Electronic Payments, fill out the form today! Apple Bankcard is currently accepting inquiries from the following states: Alabama, Alaska, Arizona, Arkansas, California, Colorado, Connecticut, Delaware, Florida, Georgia, Hawaii, Idaho, Illinois, Indiana, Iowa, Kansas, Kentucky, Louisiana, Maine, Maryland, Massachusetts, Michigan, Minnesota, Mississippi, Missouri, Montana, Nebraska, Nevada, New Hampshire, New Jersey, New Mexico, New York, North Carolina, North Dakota, Ohio, Oklahoma, Oregon, Pennsylvania, Rhode Island, South Carolina, South Dakota, Tennessee, Texas, Utah, Vermont, Virginia, Washington, Washington, D.C., West Virginia, Wisconsin, Wyoming.